FORT WORTH, Texas — Three-time Monster Energy NASCAR Cup Series champion Tony Stewart and reigning NASCAR Camping World Truck Series titlist Christopher Bell highlight an early list of marquee drivers entered in the upcoming two-day April sprint car weekend at the Texas Motor Speedway Dirt Track. Notably, this year’s running of the event will also feature a new title sponsor in Vankor, an independent energy and commodities company headquartered in North Texas that specializes in the trade and distribution of oil and gas. Vankor has signed a multi-year agreement to serve as the entitlement sponsor of the speedway’s marquee dirt track event. The Tony Stewart presents the Vankor Texas Sprint Car Nationals will take place April 6-7 on the four-tenths-mile dirt oval, as part of the O’Reilly Auto Parts 500 NASCAR doubleheader weekend at Texas Motor Speedway. Stewart and Bell, who earned his second consecutive Chili Bowl Nationals championship in January, join five-time Chili Bowl Nationals champion Sammy Swindell on the list of early entries for the Lucas Oil American Sprint Car Series event. FOX Sports NASCAR personality Kenny Wallace, who raced in all three of NASCAR’s three national series during a 25-year career, will compete for the second consecutive year in the limited modified division. While Stewart, Swindell and Wallace are scheduled to compete both nights, Bell only will race in Saturday night’s ASCS action, following NASCAR Xfinity Series qualifying and the My Bariatric Solutions 300 earlier in the day. 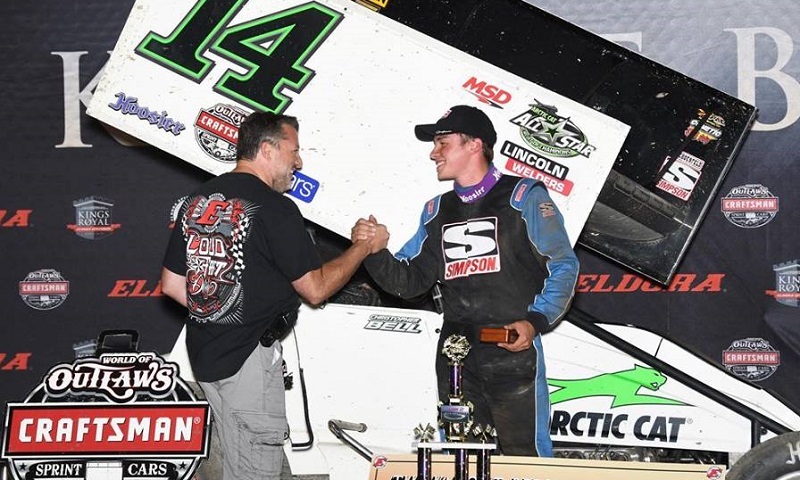 Also expected to compete in the Tony Stewart presents the Vankor Texas Sprint Car Nationals are Sam Hafertepe Jr., Aaron Reutzel, Wayne Johnson and many of the top Lucas Oil ASCS drivers. Hafertepe swept the two-day event last year, stands as the current series points leader and is expected to be the favorite again as he looks to add to his TMS Dirt Track-record four career victories.